Hello. Today we are going to learn how to make pillows. Oh joy! First, a big question. 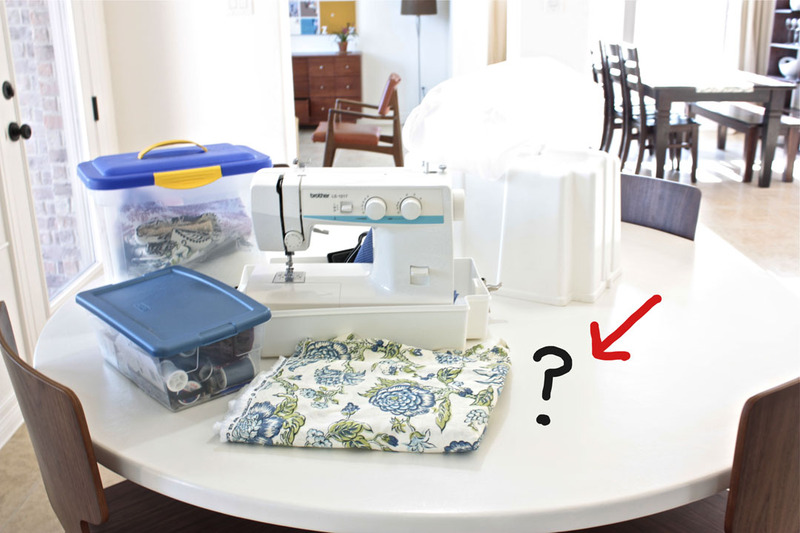 Why did I need to sew a pillow? The answer to that question lies in this oft seen photo. I first showed you this photo in the Small Changes post. I revealed that I had gotten some new bedding. 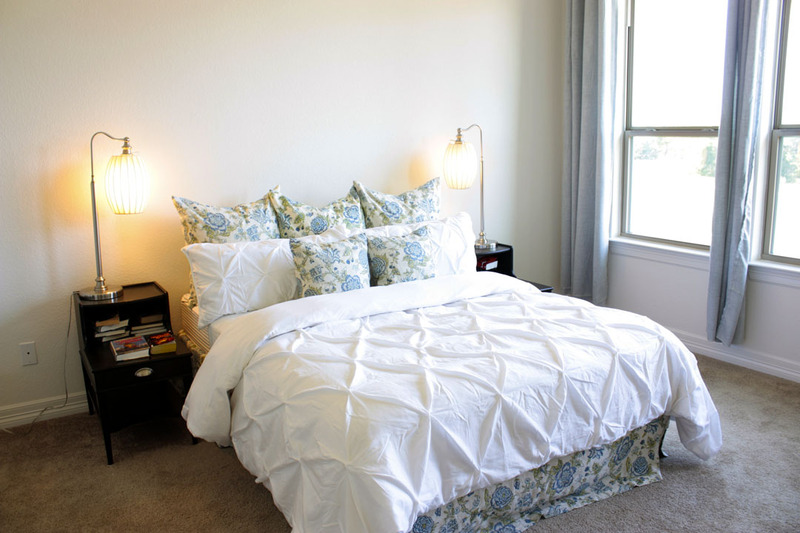 Mostly a duvet cover and the matching pillows, shown in the picture. Ever since I have made this upgrade, I have felt that the bed looked wimpy in some way. I cannot have a wimpy bed. So I analyzed the situation and noticed that the addition to one more euro pillow in the back would be just the thing to beef things up. 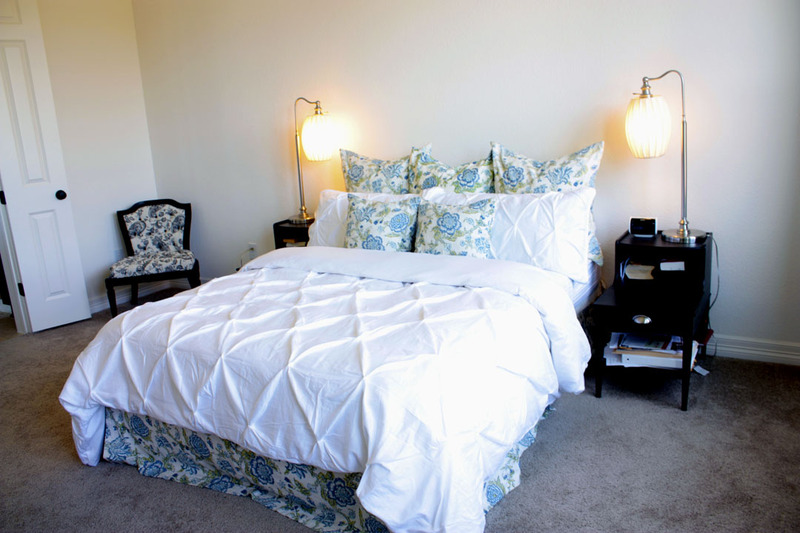 Now I had made the bedskirt and the Euro shams and small pillows years ago, when Austin was a baby. So I knew (or thought I knew) I still had the pattern. Also I had plenty of leftover material. So it was just a matter of purchasing a euro pillowform. I then gathered all my supplies, only to discover that something was missing. 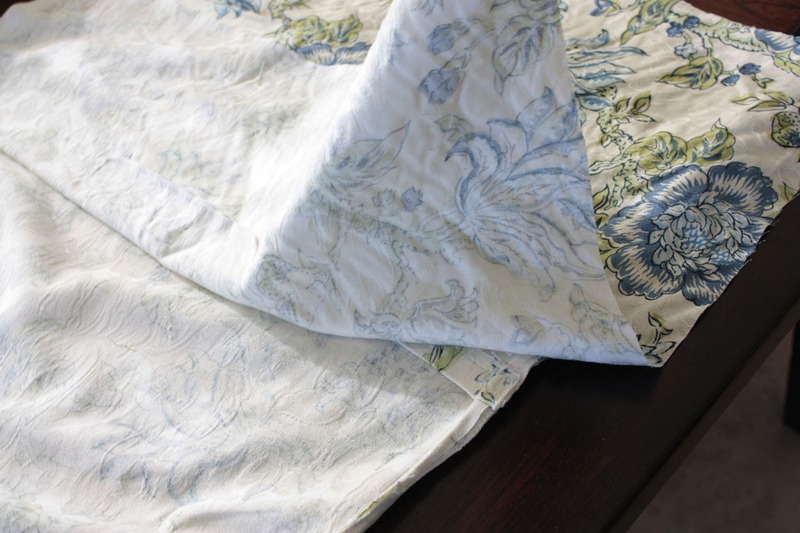 Somehow in the last 8 years, I have lost my pattern for the bedding I made. So bummer for me, but woohoo for you. Why? 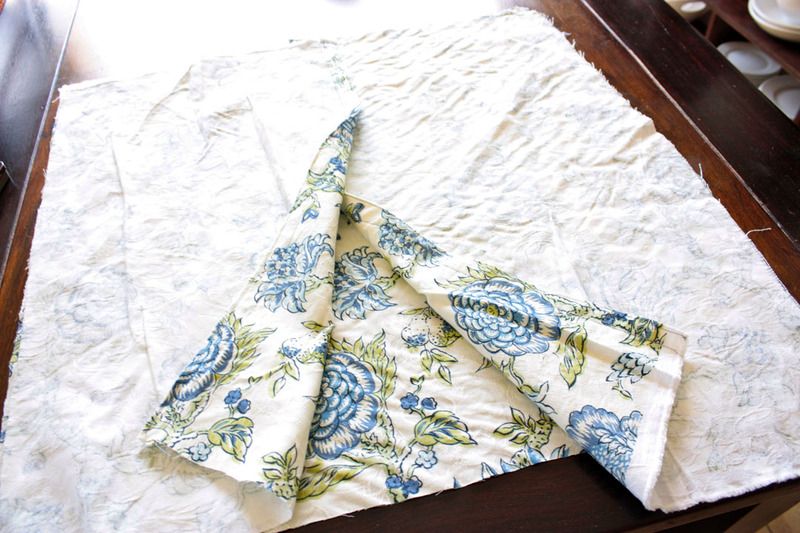 Because that meant I had to wing it, and by winging it, you get a tutorial on how to make a pillow case, without a pattern. So first step, I grabbed one of the old pillows and stripped it of it’s casing. So if you have a pillow that is the same size you want to make, just take off the current casing and use it as a pattern. If not, then just use the pillowform you bought/have. I have done this in the past as well. 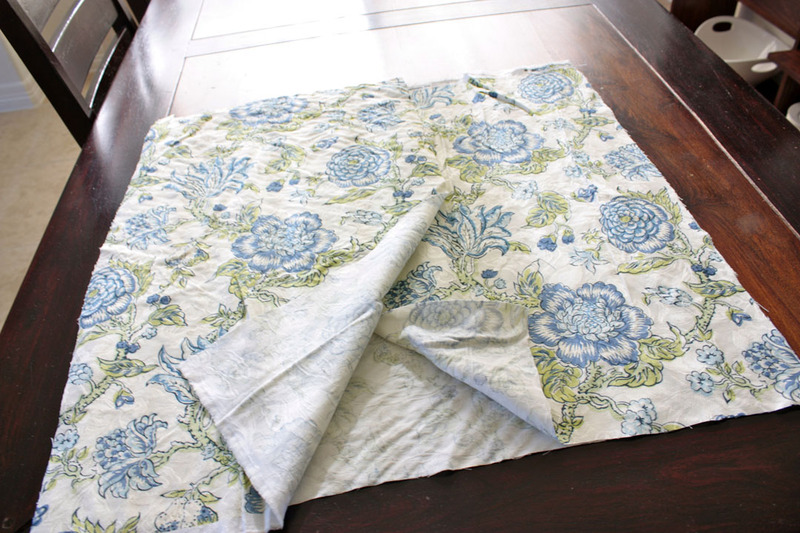 Next lay your pillow case, inside out, or pillowform on top of the fabric you are using. Do not double the fabric. You only want one large square. This is for the front. 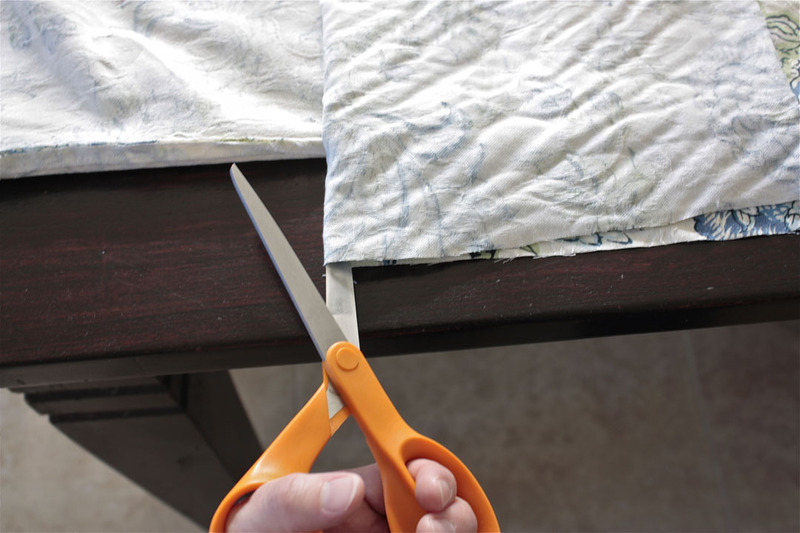 If using the pillowform, make it as flat as possible, and be sure to give yourself 3/4 to 1 inch out. That way you have room for your seams. 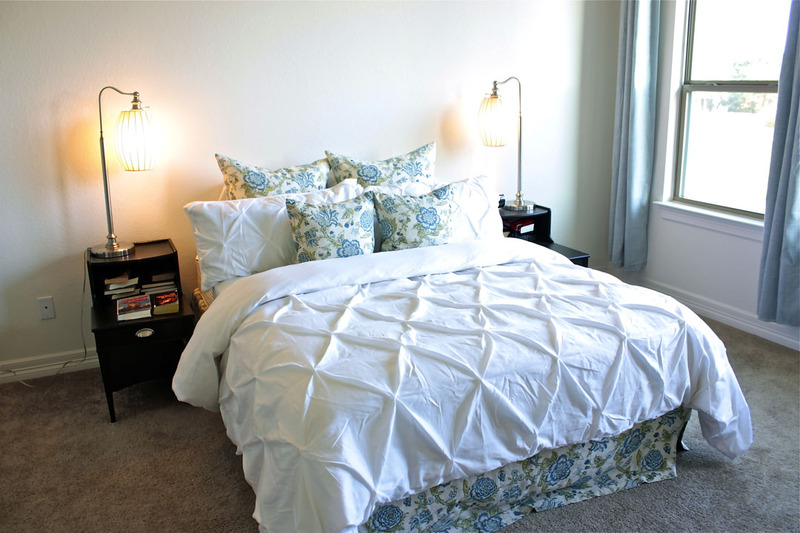 If using a pillow case already laying around, make sure it is inside out. That way you have the seams included. However I still went about 1/4 inch out, but definitely not more than that. You should be left with a large square for the front. 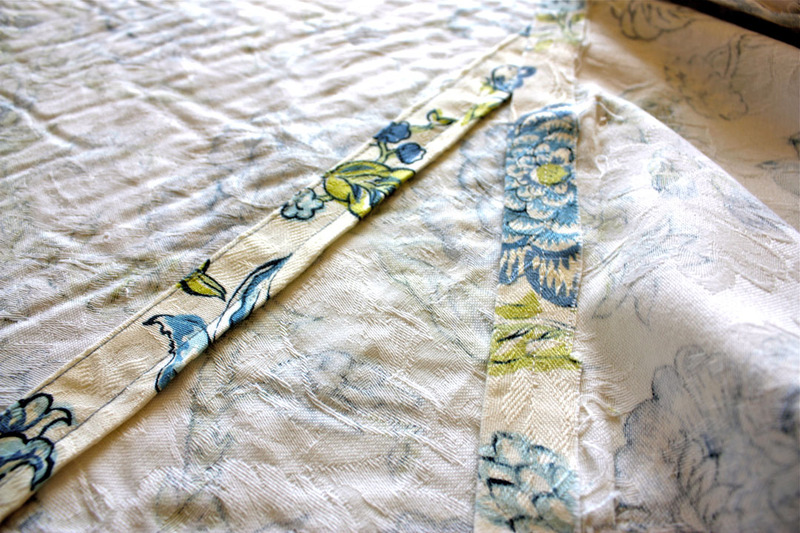 Now my pattern is random, so I didn’t need to think too much about direction of the fabric, except for up and down. 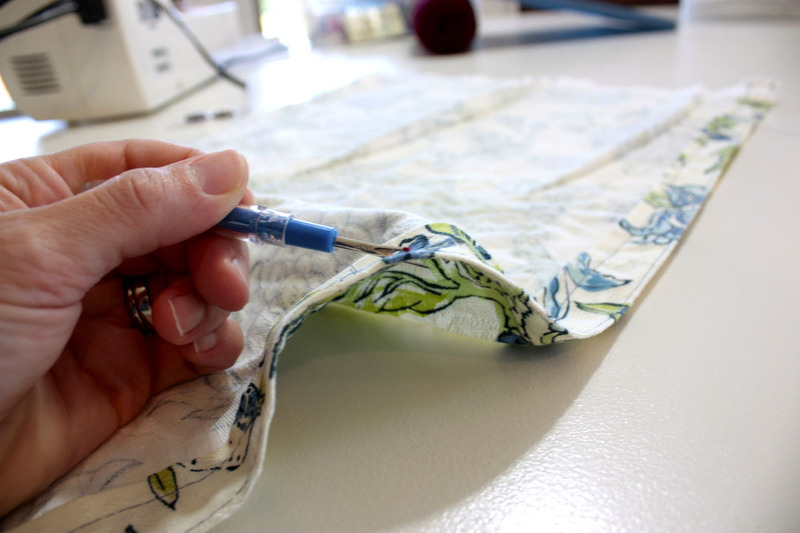 Make sure you pay attention to how you want your fabric to be, once the pillow is complete. Especially if using stripes of some sort. Next is for the back. For this pillow, I am using an overlap method. So we will be cutting out two rectangles. 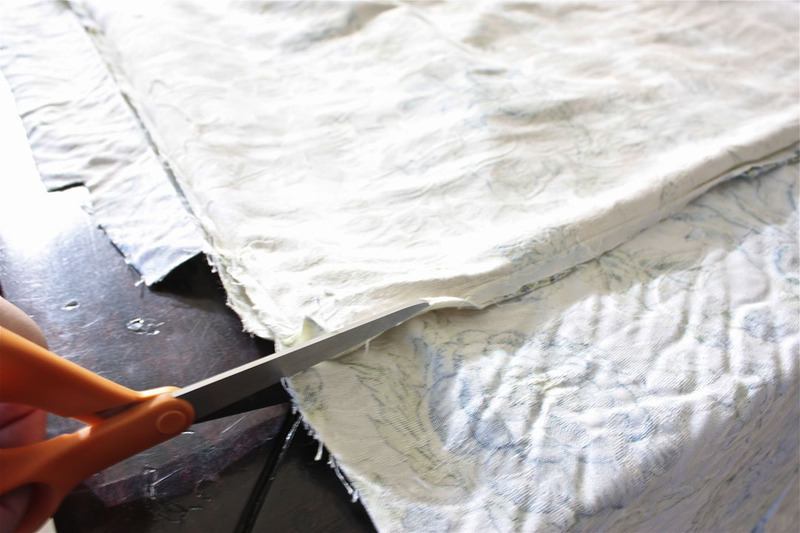 I like this method, because it is easy to insert and remove the pillowform. You also have the choice to include, or not include buttons. With this pillow, I am doing buttons. Only because the other pillows have them. Otherwise I would normally skip that step. So for the back, I placed my fabric on top of the back of the other pillow case I am copying. 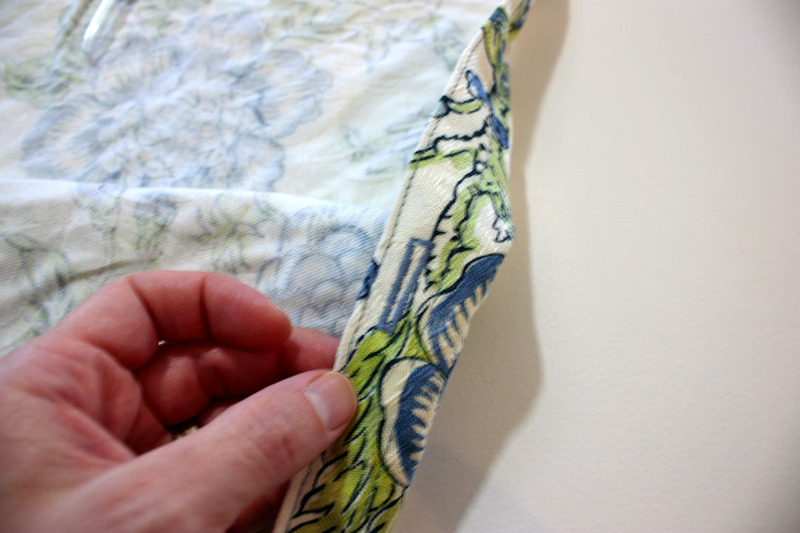 I then folded the fabric back, until it lined up with the other panel. If you are using a pillowform, or your sample case doesn’t have the overlap insert, then here is what you do. You want two rectangles that overlap in the back. You do not want them to only come half way. So do not just make a second square and cut it in half. Each rectangle should cover about 3/4 of the back. This leaves room to not only overlap, but also for the seams. Once I figured my correct rectangle length, I cut again. You will notice that one of my rectangles is longer then the other. Don’t worry, I trimmed it up later on. It just has the printed “made by” info on the bottom. Once that was done, I pieced it together, as if it were already a real pillow. So not inside out…yet. Since my fabric does have an Up and Down to it, I needed to make sure everything was going the right direction. I then was able to decide which sides of the rectangles were going to get seamed. Hint: it is the overlapping sides that you see folded up in the photo. 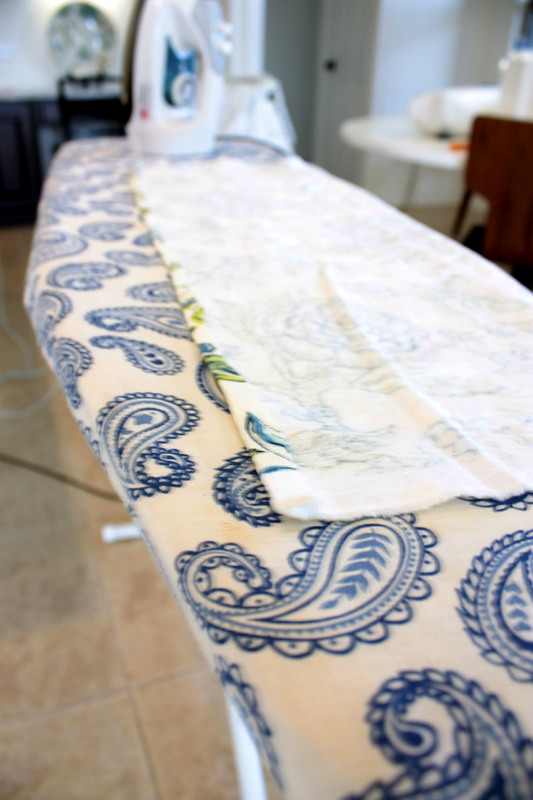 I took it to the ironing board and prepared it for the good ‘ol double fold that I talk about in this post. 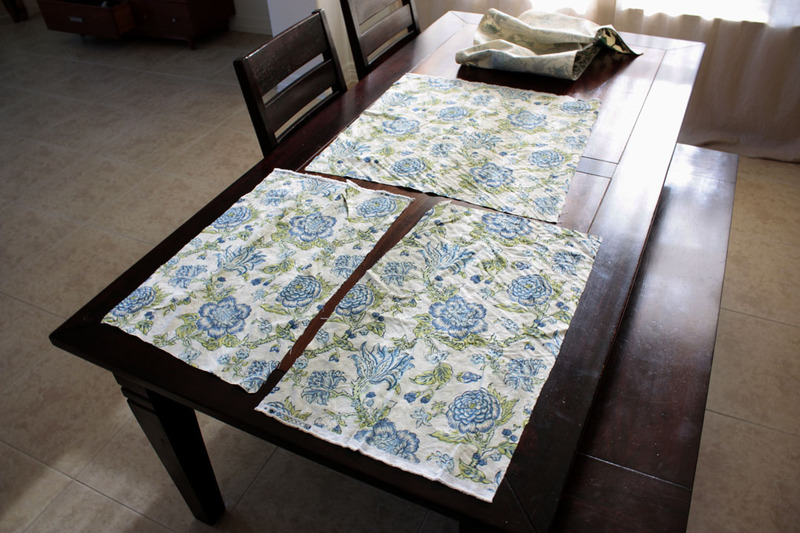 Only this time, I made the double fold a bit wider, to make room for the button-holes. If you are not doing buttons, then make it whatever thickness (or thinness) you want. 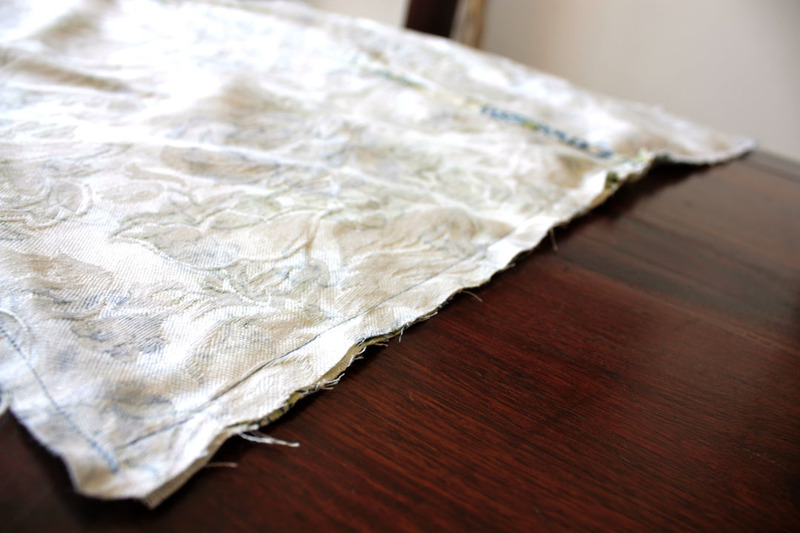 Once ironed, I sewed a straight line to make the seam. 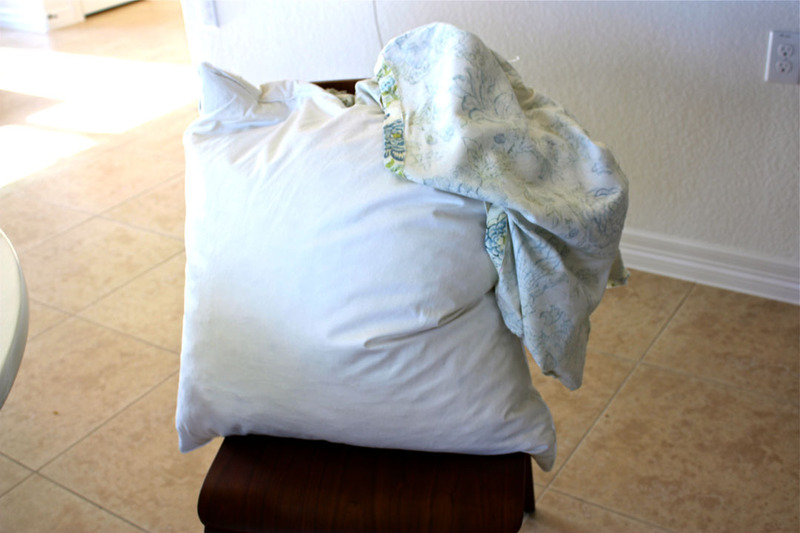 Now I did not do this method when I first made these pillows. I just sewed it once. Now I know better. You can see the difference here. On the left is the new pillow, with the double fold. The right is the old one. If you look closely you can see the fraying fabric. Now, on the new one I did a double seam. One on the inside, and one on the outside. You can see it in the picture above. Again, this is for the button-holes. You don’t have to do this, but it does make it twice as tough. Next, it was time for button holes. This part is not so easy, but is doable. I went to the manual on this one. 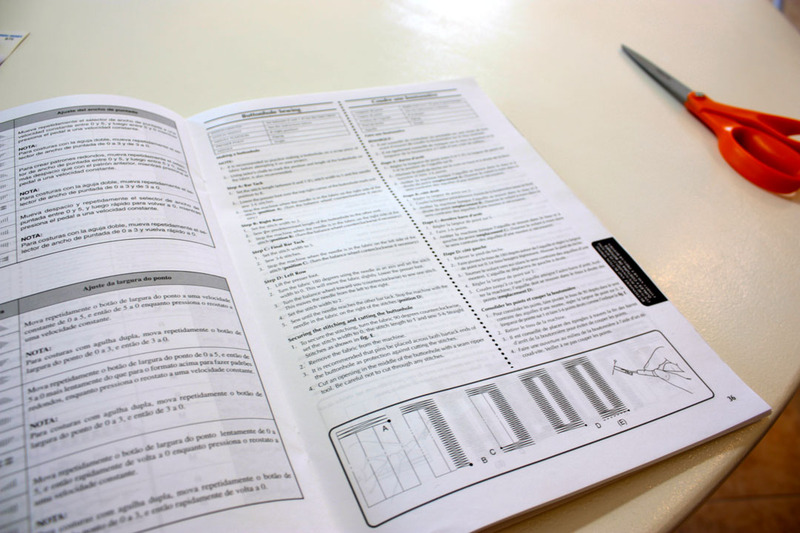 You can find button-hole instructions on the internet, or your own sewing machines manual. I would give the instructions, but they are specific to my machine. I use a Brother, and the directions were rather simple. So hopefully yours are as well. But like I said before, you can totally skip this step and not use button-holes at all. The pillow case will still work great. So lets see how I did? It’s ok. A little wobbly. But it will work. Once the button-hole is sewn, you get a seam ripper, and rip ‘er new one. Don’t rip your new seams though. A quick test to see if it worked. Now to sew the pillow and be done. So this is when we want to do everything backwards. Imagine your pillow case is inside out. I have laid everything out, all facing inward. The panel with the button-holes on it, is the one underneath the top panel. 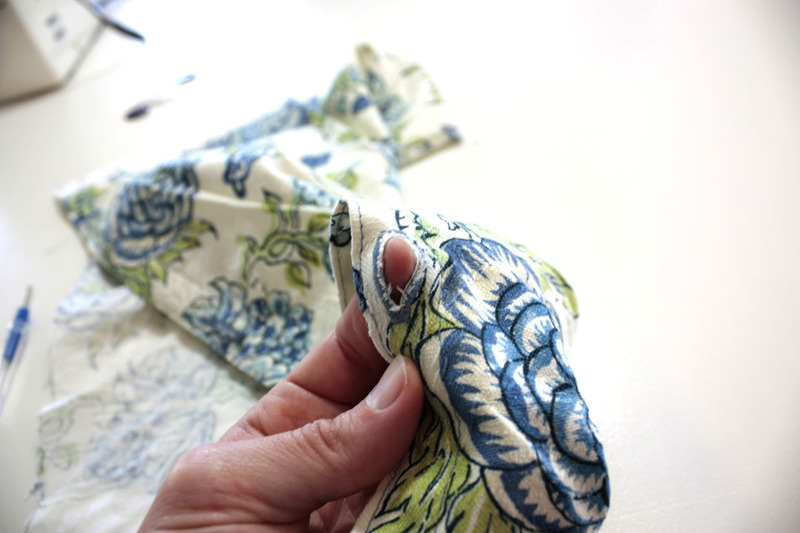 When the pillow is the correct way out, we want the button holes on the outside. If you didn’t do button-holes, then no worries. It doesn’t matter which panel goes on bottom. Just as long as they overlap. Next pin, pin, pin. You want everything to hold while you sew. Sorry, I got excited and forgot to take a picture of it pinned. Then you basically sew a giant square. Just place a straight stitch about a 1/4 inch in along each length of the square. You people without button-holes, you are done! Just flip it back out, and stuff the pillowform inside like so. You have a new pillow! Yipee!. Side note: how awesome does that pillow look on my couch? I may have to explore this a little. 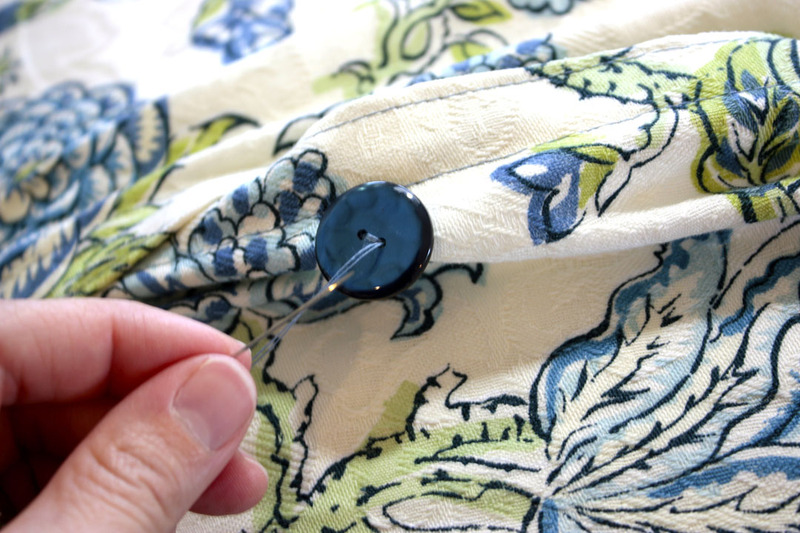 Button-hole people, do the same, but you are not done yet. 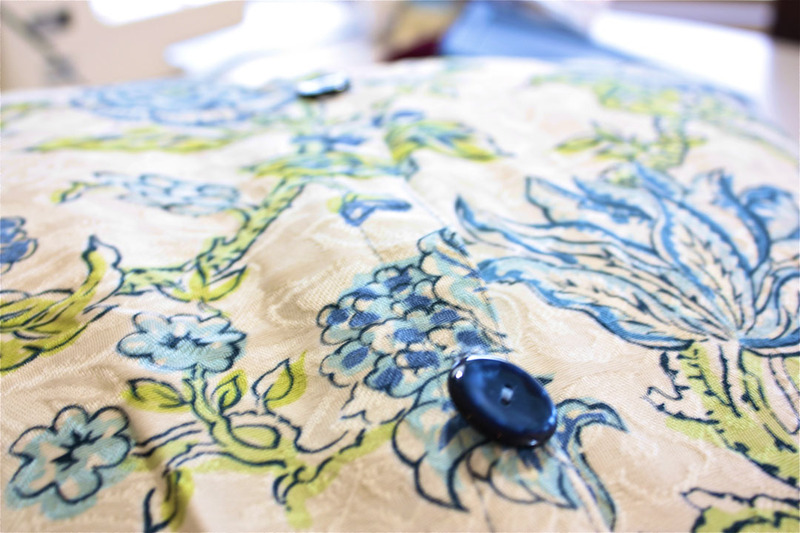 We are still going to place the pillow form inside, but we need to sew the buttons on. 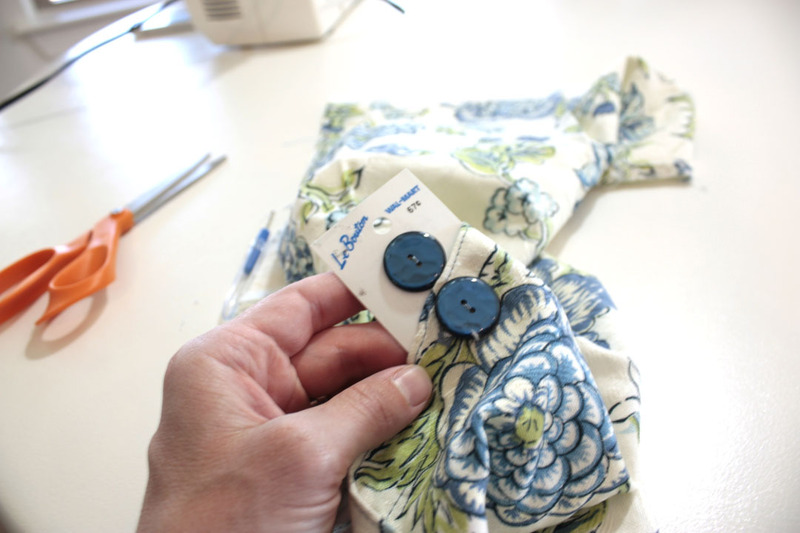 Using the button-holes as a guide, hand sew your buttons onto the lower panel. Make sure it is in a place that lines up with the button-hole above. Once the button is sewed on, button it of course! There you go! A beautiful new pillow. Lets see the shot again. This project took me about an hour. If it is your first time, give yourself a little longer. But once you have it down, you can get these guys pumped out pretty quickly. So lets see how it looks on the bed! Much better, I think. Can you tell which is the new one? Happy pillow making and good luck! P.S. 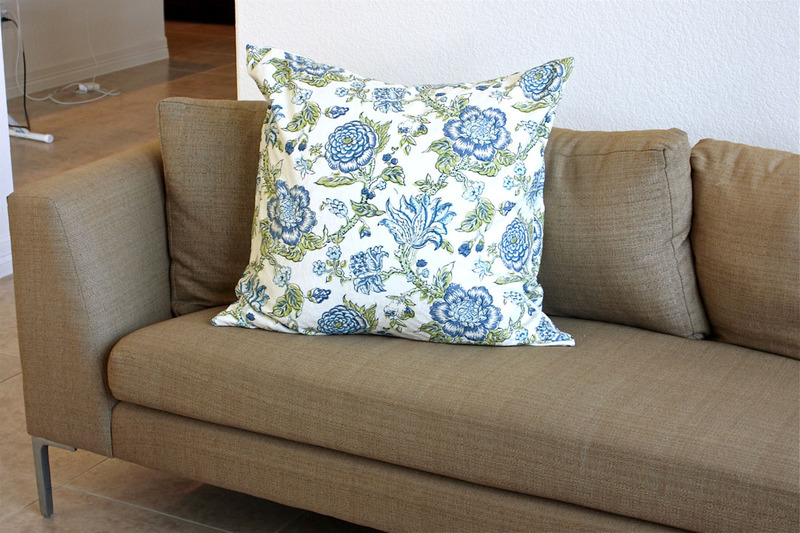 If you make a pillow, please share it with us on facebook. We would love to see! 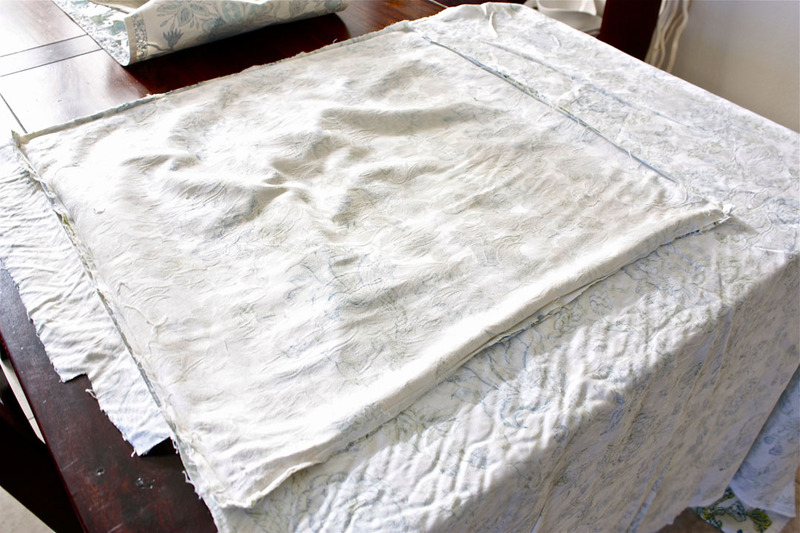 This entry was posted in DIY, How To, Sewing, Tips and tagged button-holes, DIY, erosham, euro shams, how to make a pillow, how to make pillows, make pillow, pattern, pillow, Sewing, sewing pillows, sewing project, tips by The Smithocracy. Bookmark the permalink.